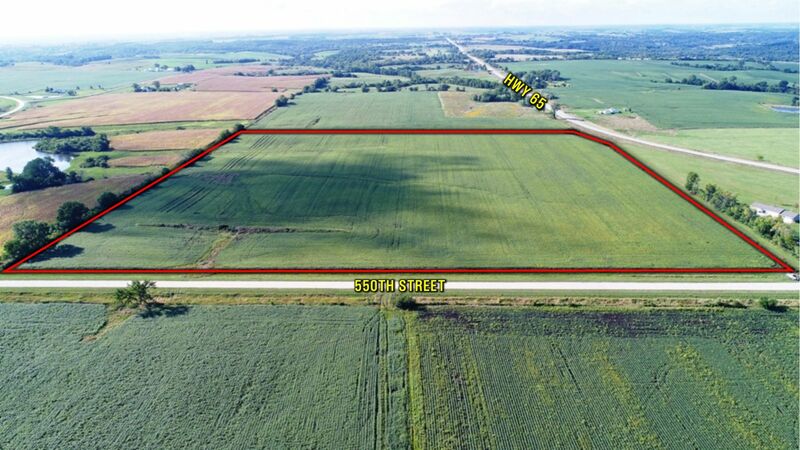 People's Company is proud to offer 193 acres m/l in Lucas County, IA. 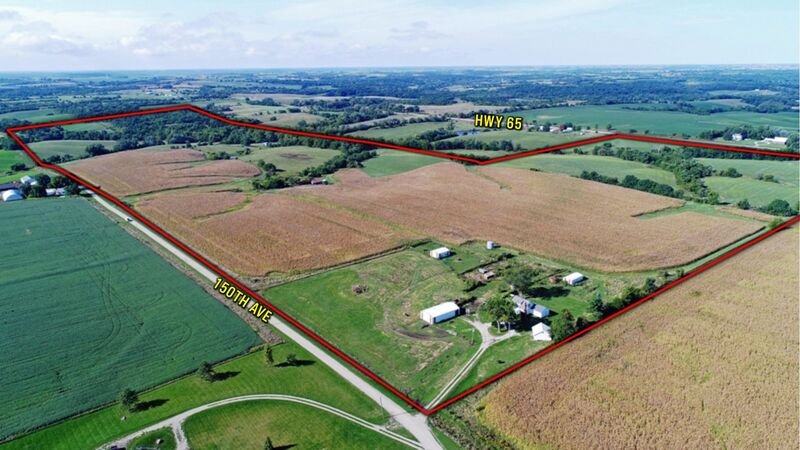 This outstanding property is made up of a combination of high quality tillable and pasture ground just off of Highway 65. The 38 m/l acres to the north is considered 100% tillable and has a CSR2 of 60.1. 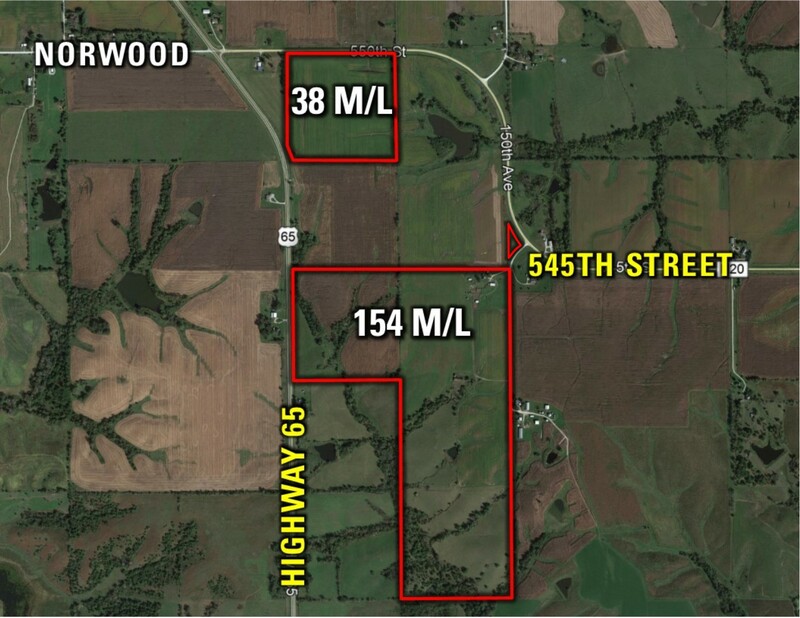 The south 154 acres features 126.24 tillable acres with a CSR2 of 49.5. The pasture and timber acres on this tract feature two ponds, and new, well-maintained fences to run your livestock. This farm also has the capability to produce quality whitetail and turkey, along with some of the best southern Iowa views you can find. The 3 bedroom 1 3/4 bathroom home is 1,574 total sq/ft with a full basement, and a detached garage. The surrounding buildings offer a lot of opportunity as well. The larger pole building to the east of the house is 30' x 56' with a roll up garage door, the open front building to the west of the house is 36' x 18', and the open front building to the south is 30' x 24'. Farmland of this quality and location don't come around very often, take advantage! The Northwest Quarter (NW 1/4) of the Southeast Quarter (SE 1/4), the Southeast Quarter (SE 1/4) of the Southeast Quarter (SE 1/4), the Northwest Quarter (NW 1/4) of the Northeast Quarter (NE 1/4), Northeast Quarter (NE 1/4) of the Southeast Quarter (SE 1/4), W174.24', E464.24', N250' East Half (E1/2) Southeast Quarter (SE 1/4), in Section Twenty - three (23) Township Seventy - three (73) North Range Twenty - three (23), and the Northeast Quarter (NE 1/4) of the Northeast Quarter (NE 1/4) in Section Twenty- six (26) Township Seventy- three (73) North Range Twenty- three (23). Exact legal to be taken from the abstract. From Lucas, IA travel North on Highway 65 for approximately 6 miles to 550th Street and turn East. 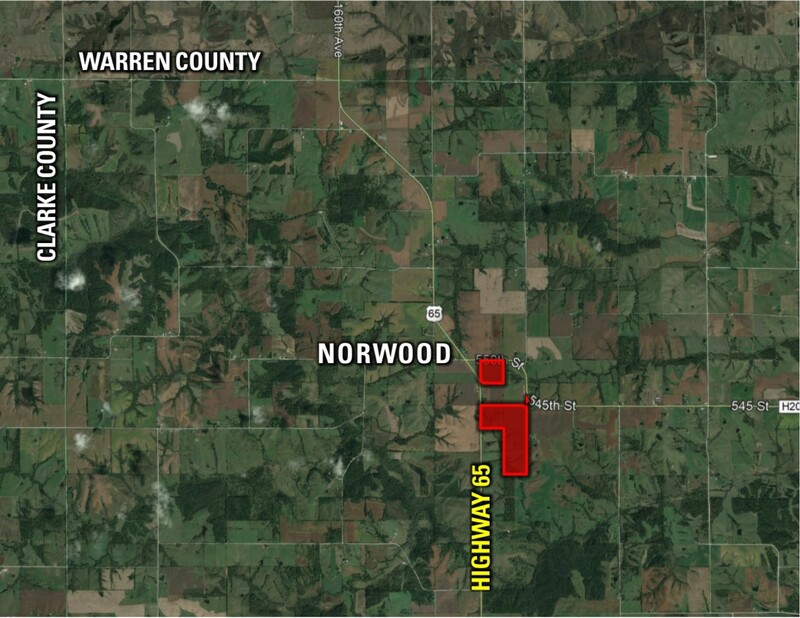 The North 38 m/l acres lies on the South side of the road after a 1/4 of a mile. Continue onto 150th Avenue for approximately a 1/2 mile and the drive into the South 154 m/l acres is on the Southwest side of the road on the second curve. Stay right on the driveway to enter the property.